Detective Peter Seymour has seen every type of death imaginable in his time in the NSW Coroner's Court and, after many years in law enforcement, the tragedies are beginning to take their toll. Dealing with death day in day out becomes too much for Seymour and this seasoned veteran starts to grapple with overwhelming feelings of fear and doubt. Unfortunately, due to sales rights restrictions, we cannot offer Deadly Paths for sale in your country. Detective Peter Seymour has seen every type of death imaginable in his time in the NSW Coroner's Court and, after many years in law enforcement, the tragedies are beginning to take their toll. Dealing with death day in day out becomes too much for Seymour and this seasoned veteran starts to grapple with overwhelming feelings of fear and doubt. He decides to return to the police force hoping the operational work might offer some reprieve. Fate would have it otherwise as he is thrust straight back into an intense murder investigation. One Friday night in the year 2000, Nick Hanes is heading home after a night out with his mates. Barely 250 metres from his home, he is set upon by two men. Bashed, beaten, then murdered, Hanes dies after a senseless and random attack. Seymour is called to the St Mary's crime scene. He examines the body and discovers that there are very few clues and no leads, no witnesses. As the case unravels it takes every bit of his experience, tenacity and determination to not only discover the identity of the perpetrators but to also deal with his own demons that are beginning to spiral out of control. 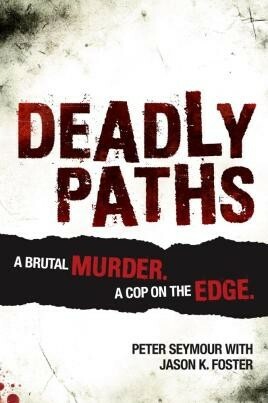 Deadly Paths tells the true story of two men embarking on dangerous paths. One man finds himself the victim of a violent crime, the other searching for justice for the dead man's family as he struggles with his own battle with Post Traumatic Stress Disorder, the result of a life spent giving his all for others. Both paths are intertwined, and there is no turning back.